We helped prevent U.S. missile strikes on Syria. Public pressure made Congress turn against an attack, opening the door to diplomacy. Now let’s stop the flow of “lethal aid” to Syria. If you are not in the United States, click here. As a constituent, I urge you to halt all “lethal aid” in the Syrian conflict. 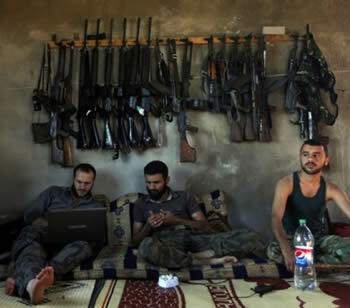 The last thing Syria needs is more weapons, ammunition and other military supplies. The U.S. government and allies should stop sending lethal aid to rebels in Syria, while working for a reciprocal cutoff of all military assistance to the Syrian government by Russia and Iran.